We looked at the top 9 Air Fryers and dug through the reviews from 52 of the most popular review sites including New York Times Wirecutter, CNET, The Spruce Eats, Top Ten Reviews, Gizmodo, Healthy But Smart and more. The result is a ranking of the best Air Fryers. Our experts reviewed the top 9 Air Fryers and also dug through the reviews from 52 of the most popular review sites including New York Times Wirecutter, CNET, The Spruce Eats, Top Ten Reviews, Gizmodo, Healthy But Smart and more. The result is a ranking of the best of the best Air Fryers. This all-star air fryer simplifies your dinner with an easy-to-read digital display. It cooks up flawless “fried” food for up to four people. If you don’t mind the price tag, this model’s instant heat feature and easy-to-clean interior make it a no-brainer for your kitchen counter. DWYM Kitchen Experts plus Consumer Reports, New York Times Wirecutter, CNET. Along with user reviews from Amazon, Best Buy and Target.
" The most expensive of the tested models, the Philips TurboStar has a capacity of 3.1 quarts, which puts it in the middle of the pack in terms of size. Use the handy knob to set the cooking time and temperature...."
"Cooking results ranged from acceptable to mediocre. When we cooked 28 ounces of frozen french fries at 350 degrees Fahrenheit in the Philips HD9641/96 for 25 minutes, most turned out evenly cooked, but a handful of fries were still underdone." This fryer is a larger version of the Digital Turbostar, making it ideal for anyone who wants the high-quality cooking abilities of its predecessor with the option of a bigger serving size. It’s a little trickier to clean, but that might be worth it for families looking for a fryer that will meet their needs at a competitive price. DWYM Kitchen Experts plus New York Times Wirecutter, Top Ten Reviews and 5 more. Along with user reviews from Best Buy and Amazon.
" Performed similar to the Philips HD9641/96 Airfryer in our tests." "This air fryer was a pain to clean. The wire basket needed to be soaked and scrubbed, and it was not fun." This budget-friendly option still cooks up a hearty basket of fried food, and at 3.7 quarts, it has the largest capacity on our list. The eight preset cook options make it even easier to quickly whip up your favorite meal. DWYM Kitchen Experts plus BestReviews, New York Times Wirecutter and 1 more. Along with user reviews from Home Depot.
" Cooks food fast. Features several convinient preset modes. Rapid Air Circulation technology is great for low-fat cooking." "Turned out badly burned on top and undercooked on the bottom. Also, when you reinsert the basket, the air fryer slides across the counter, because it doesn’t have enough weight or grip to stay in place." If you love making the perfect crispy French fries at home, look no further than the T-fal ActiFry, which is easy to use and easy to clean. Its removable lid, pan, paddle and tablespoon are all dishwasher-safe, meaning you can enjoy your fries while the dishwasher does all the hard work. DWYM Kitchen Experts plus New York Times Wirecutter, CNET, The Spruce Eats, Top Ten Reviews, Gizmodo, Healthy But Smart and 1 more. Along with user reviews from Amazon.
" Unique in that it has a paddle that rotates food while it cooks"
"It's expensive. It can't cook without its mixing paddle. It can't cook soft or delicate items." We identified the majority of the air fryers available to purchase. 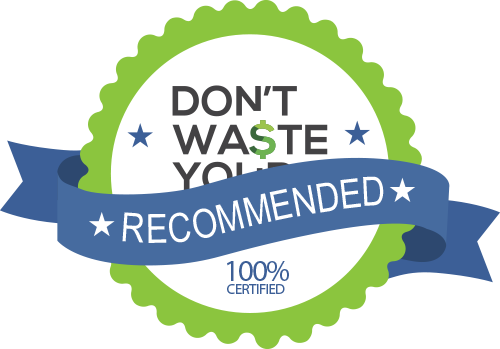 Reviews from our DWYM category experts and analysis of some of the most respected sources including: New York Times Wirecutter, CNET, The Spruce Eats, Top Ten Reviews, Gizmodo. We also incorporate user reviews from the leading retailers including Amazon, Home Depot, Target, Best Buy, Google Express. When filled to capacity, the exorbitantly priced Philips HD9641/96 was able to cook food more evenly than the other models we tested. The Philips Airfryer Avance Collection works well when you want to heat frozen convenience foods like mozzarella sticks or pizza rolls. It's also easy to use. This air fryer is on the noisier side, and cleaning the nooks of the basket can be a chore, although the rest of the fryer cleans up easily. Cooks food fast. Features several convinient preset modes. Rapid Air Circulation technology is great for low-fat cooking. Lacks some of the belss and whistles of the Phillips, but most of the essentials are there. Turned out badly burned on top and undercooked on the bottom. Also, when you reinsert the basket, the air fryer slides across the counter, because it doesn’t have enough weight or grip to stay in place. Fried foods are a distinctly American obsession. From chicken nuggets in our school lunches to funnel cakes at the county fair, digging into a fried meal is a tasty endeavor. However, it’s no secret that fried foods aren’t doing any favors for your health. Indulging in fried food once or more every week puts you at a higher risk for cardiovascular health problems and Type 2 diabetes. You don’t have to kiss fried foods goodbye entirely if you’re watching your waistline, though. Over the last few years, air fryers have boomed in popularity for lightening up deep-fried goodness for a more heart-friendly meal at home. Air fryers are an entirely different beast than the countertop oil fryers you may have bought in the past. Instead of immersing baskets of your food in hot oil (which can splash out of the basket and burn you and requires heavy-duty cleanup), air fryers use a very small amount of oil to crisp your food. A light spritzing from an oil spray bottle should be all you need. Just choose whatever food you’d like to fry, preheat the unit for a few minutes, and place it in the removable basket. Then set the timer and temperature, pop the basket inside the contained countertop unit and get ready to chow down. If you’re wondering how air fryers crisp your food without large quantities of hot oil, it all comes down to one dirty little secret: they’re not actually fryers at all. In reality, air fryers are countertop convection ovens that rapidly circulate hot air around the food you place in the basket, browning them for a crispy, “fried”-looking result. Plus, cleanup is a breeze compared to standard countertop fryers. Some air fryers, like the Phillips Avance Digital Turbostar, even let you pop the non-stick drawer and basket straight in the dishwasher after your food has finished cooking. Another bonus of air fryers is that you can open them at any time to check on your food’s progress without losing heat or affecting the cooking time. This helps you get your food to your own perfect level of “fried” for a more personalized meal. Since the air fryer uses such a small amount of oil, you’ll want to stop and shake your air fryer’s basket throughout the cooking process to make sure that nothing gets stuck to the sides. Although some models are known for consistent cooking across the entire air fryer basket, you still shouldn’t skip this important step. These appliances aren’t just for piles of fries and chicken wings. Other items that cook up well in the air fryer include vegetables, like brussels sprouts and broccoli; light fish dishes, such as salmon or trout; and Italian favorites, like lasagna or personal pizzas. Air fryers are far more versatile than countertop oil fryers or toaster ovens, so they’re worth a second look even if you’re not a huge fan of standard fried fare. The meals you make may not taste exactly like the fast food French fries or deep-fried chicken wings you might be craving, but they’re a worthy, tasty substitute for anyone who doesn’t want to completely give up the fried lifestyle. Your heart and taste buds will thank you! Even if you thought chemistry was boring in high school, you may still be interested to learn how it helps you cook up delicious treats in your air fryer. A chemical reaction called the Maillard Reaction creates the crispy finish on your air fryer-cooked french fries. First described in 1912 by French chemist Louis-Camille Maillard, this chemical reaction between amino acids and sugars in your food creates a browning effect when your food is exposed to high temperatures. Your air fryer relies on this reaction to create that telltale toasted look and feel on the outside of your chicken wings. It also produces the flavors and aromas that you associate with fried food — but without the hefty calorie count. 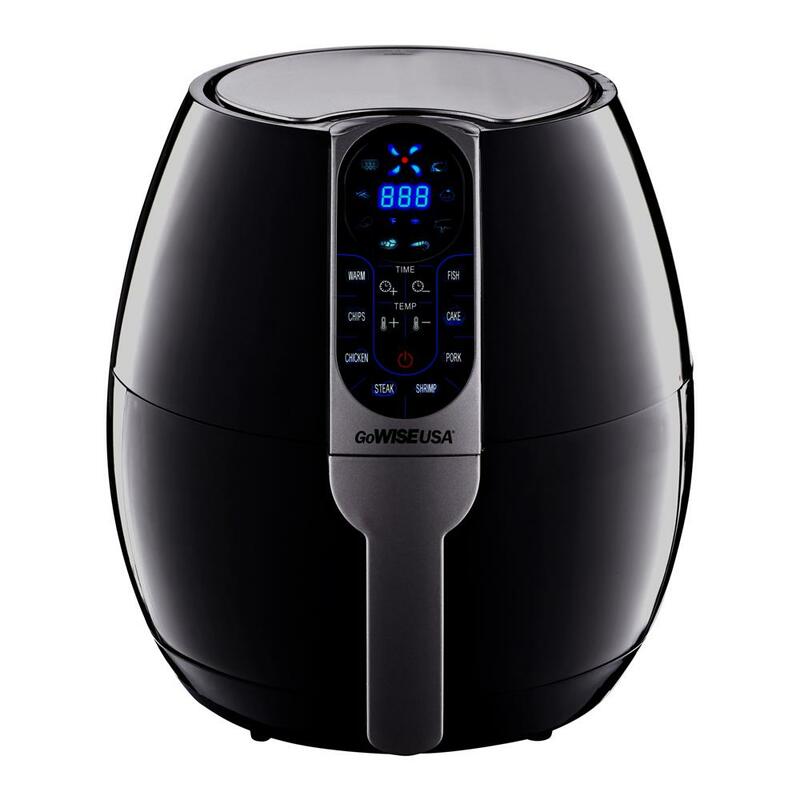 One of the most important factors you’ll want to think about before purchasing an air fryer is how frequently you’ll use it. You might not want to drop as much money on an air fryer if you’re only whipping up fries and chicken tenders every once in a while. Some units cost up to $300, but there are also great models, like the GoWISE USA, available for less than $100. Air fryers are available with different capacity baskets, and estimating how much food you’ll cook during each use will help you choose the best option. Are you a solo chef who wants a side of French fries with your meals? A family with a few kids who clamor for heaps of fish sticks? Or somewhere in between? The Kalorik FT’s 3.2-quart basket makes it a solid mid-sized choice. 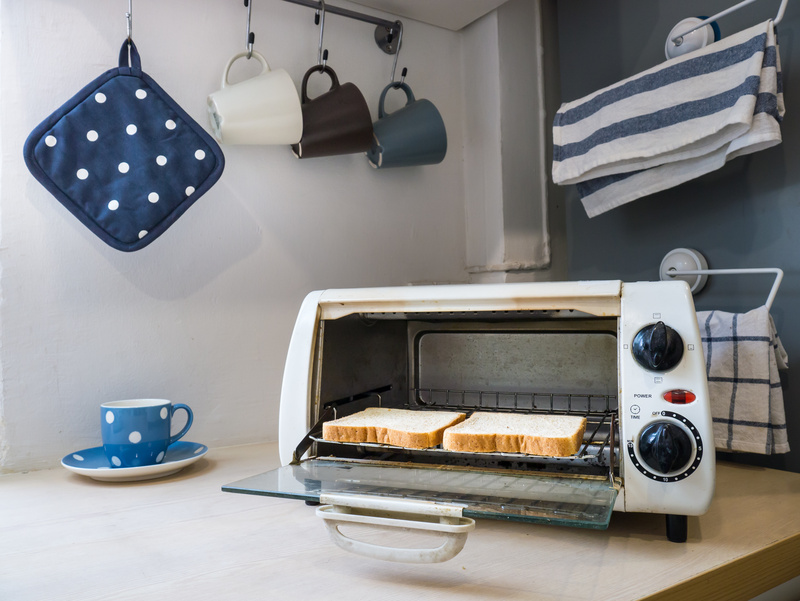 Take a look around your kitchen and consider where you’ll use your air fryer, and where you’ll store it when it’s not in use. Air fryers are larger than many countertop kitchen appliances, and you’ll need at least five inches of space between the back of your air fryer and the wall for the fryer’s exhaust fan to properly function. The fryer will also need to be well within reach of a power outlet — these puppies don’t run on batteries. A model like the NuWave Brio, which only takes up 18 square inches of counter space, is a good pick for smaller kitchens. How much time are you willing to spend cleaning up after you’re done air frying your meal? Almost all air fryers are easier to clean than countertop oil fryers; quickly rinsing the basket and drawer and sticking them both in the dishwasher is par for the course for most models. However, some units, like the Philips Avance XL, have baskets that must be hand-soaked and scrubbed before the next use. All air fryers come with temperature controls and timers, but some models have other preset options and extra features on their control panels. You’ll want to take a look at each fryer’s control panel options; some choices might have specific settings that better match your particular cooking preferences. For example, the Phillips Avance Digital Turbostar keeps things simple with temperature and cook time settings on an easy-to-read digital display, while the GoWISE USA has eight presets for fries, chicken, fish, steak, and more. You’ll also want to consider what you’ll be primarily cooking in your new air fryer. The T-fal ActiFry, for instance, is really best suited for French fries, but not a lot of other foods. For the Air Fryer category, we analyzed 52 of the most popular reviews including reviews from New York Times Wirecutter, CNET, The Spruce Eats, Top Ten Reviews, Gizmodo, Healthy But Smart and more. The result is a ranking of the best Air Fryers.